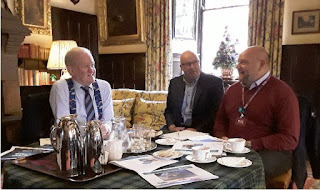 Banffshire & Buchan Coast MSP Stewart Stevenson and Turriff and District SNP councillor Alastair Forsyth met with the National Trust for Scotland yesterday to learn more about its new strategy. The MSP and councillor visited Fyvie Castle at the invitation of the Trust where they were met by Ian Hawkins, North-east General Manager, who briefed them on the Trust’s new strategy. The National Trust for Scotland is supported by more than 360,000 members and champions Scotland’s natural, built and cultural heritage. “This was a really informative, interesting and useful discussion with Ian about the work of the National Trust for Scotland. “Fyvie Castle and the many other castles, houses and gardens in the care of the Trust across the North of Scotland contribute massively to our tourist economy and provide a range of high-quality visitor attractions. 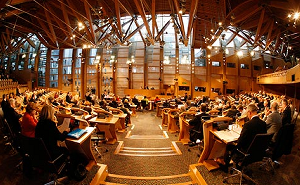 “I was delighted to be able to attend this meeting and hear about the National Trust for Scotland’s strategy for the future.